Starbucks Coffee - 101-844 March Road. Sobeys - March Road, Kanata North. 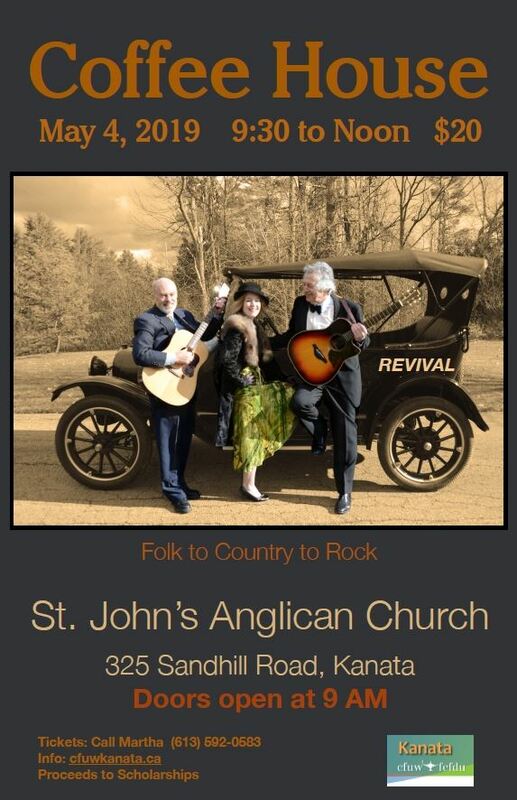 This is the 5th year that the band Revival will be performing at the CFUW Coffee House. 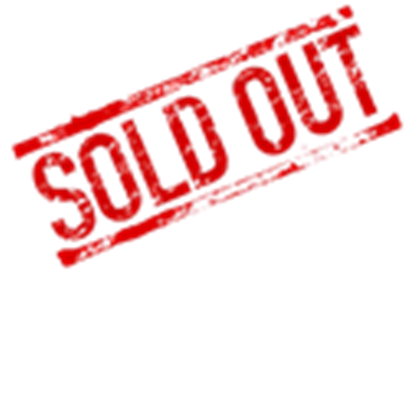 It has sold out every year! Come and enjoy the morning, which raises money for the Scholarship Fund. As you may know, Hal Whiteman and Ian Few have been getting together to play music, almost every Monday for about nine years. They formed the band Revival in 2014. Their repertoire of songs ranges from rock to folk and everything in between. Hal plays acoustic guitar and banjo and is also known for his witty discourse between songs. Ian plays several types of guitars – electric, bass, 6 and 12 string acoustic and keyboards. Diana Billings, who was a guest singer, has now joined Revival. Diana hails from Glovertown, Newfoundland. She considers herself a proud “baywop”. You can ask her or another Newfie what that is. She is the Music and Children’s Sunday School Pastor at a church in Carleton Place. She plays keyboard and has an absolutely amazing voice with a huge vocal range. You can see her on the 2019 Coffee House poster. Included in your ticket price is a great cup of coffee from Starbucks. There will also be tea and a sweet treat. Tickets will be available through the Interest Group Conveners and at the March and April CFUW meetings. Martha Klump (613-592-0583) is the ticket convener for this event. It would be a good idea to get your tickets early!